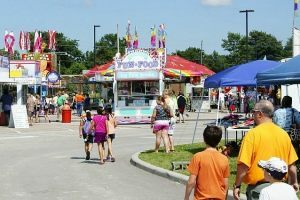 Visitors can enjoy all the fun and magic of the Essex Funfest, with carnival rides, youth talent contest, parade, food, art & craft booths, sports tournaments, live entertainment, bavarian gardens and fireworks. An official schedule of all events can be found at this link. Park admission fee only $3 per person daily (except Thursday free). Youth under 6 years old and Seniors aged 65-plus, FREE! No park admission fee after 9pm Friday & Saturday, and 4pm Sunday.